Now you see him now you don’t! 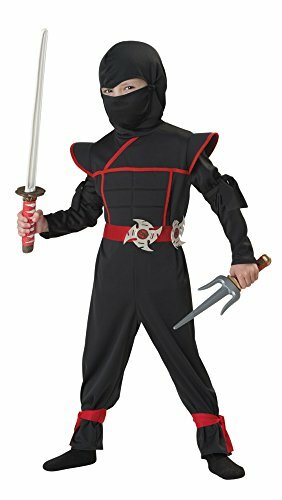 This stealthy ninja costume includes jumpsuit with attached hood, (2) armband ties, belt with foam ninja stars, and a fabric mask. Shoes not included.